The AMMRC001 is time tested and proven to be the most reliable solution for hauling motocross bikes, scooters, and off-road dirt bikes. It is made out of 100% heavy duty for added strength and durability. 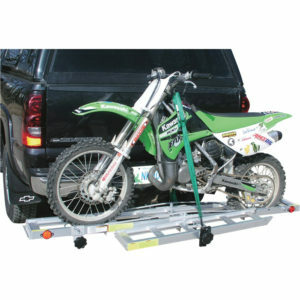 It is extremely portable and includes a loading ramp for loading your motorcycle on the carrier. Once loaded, the loading ramp attaches on the carrier next to the carrier track for easy transport. This motorcycle hitch carrier has a carrying capacity of 500 lbs. It fits a standard 2″ class II, III, IV, or V receiver. 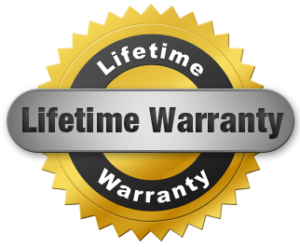 The dirt carrier comes complete with a LIFETIME WARRANTY against defects. Assembles quickly with only 8 bolts/nuts. 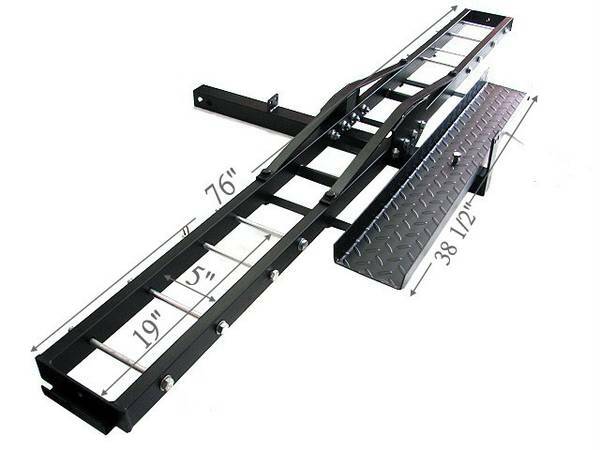 38-1/2″ long steel loading ramp secures next to carrier for transport.